What is the purpose of joining musing.io? My purpose to join MUSING is to gain knowledge from this and earn some. We all have come to this site for some purpose. Without purpose, people do nothing. All the people in the world are not same , somebody's purpose is good and somebody's purpose is bad. Those who work with good intentions are always good. And those who work with bad intentions are not good at any time. If we work hard from this site, then we can achieve success from this site. And if we do not work harder If you copy the text you are not likely to get any benefit from this, but it is possible to close your account. So we should give a good answer here so that everyone can learn and know about a lot. My main purpose to come here is to gain knowledge. Here are some questions that we can learn a lot from. We all know that there is no end to acquiring knowledge. The more knowledge we can acquire, the better it will be for us. So I always try to acquire knowledge. How can I increase my knowledge, that's why I am active all day on this site and see the answers to all the questions. I love it. I want you to stay active here and learn something from here. My third objective here is to increase my reputation from here. This will help you to increase the reputation. If you give a good answer and if it is standard then you will get a good amount of upvote. It will help you to increase your repetition. So now I am active in order to increase the reputation. I know that from here I can increase my repetition a lot. Here's a lot of help from my English practice. We all know that English is an international language and that everyone should know this language. If you know this, you can talk to any part of the world at any point of the world. It is international language so everyone needs a lot to know this language. Here we all ask questions in English and answer in English. So our English practice is good. From here we can learn many new things. Here we can ask questions about our various problems and we are getting the solution of them shortly. That's why I have loved it so much. Many of us have many questions whose answers we can not find. From here we can find them. YESTERDAY I PUBLISH A VIDEO . Initially I joined Musing for some earning. But now I love musing even if I don't answer the questions I love to read the answers given by the other users. Sharing knowledge is always good even it increases your own knowledge. It enables to broaden my vision and I can get different point of view for a single problem/ question. It also enable me to get some earning while sharing my knowledge. It also allows me to ask question and clear my doubts. Lastly, I think that I’m now addicted to this platform. Just as our faces are different, so are our hearts. You can't tell what is in the mind of others. The purpose for joining musing to you, may not be same for you. We all have our various and divergent reasons for utilizing a particular thing. Some join Musing for the upvotes. Due to the way Steem is currently down, not many people are as active on Steemit like before. So most people come on board basically because of the upvotes they feel they will receive from the Musing platform. Others come to learn. Simply by asking and answering questions, you get to learn a lot. They basically come to find out answers to questions bugging their minds. Some also come to interact and build a relationship. By asking, answering and following up on questions/answers, people tend to build relationships. Most people join just to interact with others and get paid for it as well. First, to learn from others. As I read through the answers of users, I learn about so many things, about crypto, about life, about anything! I become more open minded to issues as I read through the answers which makes me think that opinions of other people matter too, that other people are sometimes right about a certain issue. Second, to learn about myself. As I answer questions, it make me be put into deep thought. It made me realize that there are so many things I didn't know about myself so answering questions especially about life puts me into self-discovery. To earn: There is no denial that you can earn by using this platform. If you just answer truthfully and heartily, also do some research, and ask interesting questions then for sure, you will earn. It is not really that difficult, you just have to give it time and patience. Say what you think about a particular issue but also respect other's opinions about it. Hence, the purpose of joining this platform for me is more than just earning, but learning as well. I hope my answer helps! IMHO, this is the only platform that will sufficiently reward the exchange of ideas and insights. I personally like the positive outlook of the users when engaging with other users when it comes to the answering of questions. Even the sensitive topic about the life are being discussed in a mature & intelligent approach, I don't know any other platform that encourage this. Lastly, musing.io embody the Steemit's slogan: "Your voice is worth something." The statement above are my personal opinion about the platform, other may have a different point of view. Disclaimer: I'm not a member of the musing.io team. The same purpose for which musing is developed. In a Q&A community, the purpose of the community members and the community as a whole converges to a unified purpose and we all are here to ask questions and answer and respond to other questions productively if we know the answer. But as an honest confession I must tell you that for me, it is like a boat in the ocean find a right direction to sail through. On steem blockchain, there are several DApps but the kind of one which perfectly fits to my activities, is the musing only and I am really happy to see musing evolving on steem blockchain so beautifully. 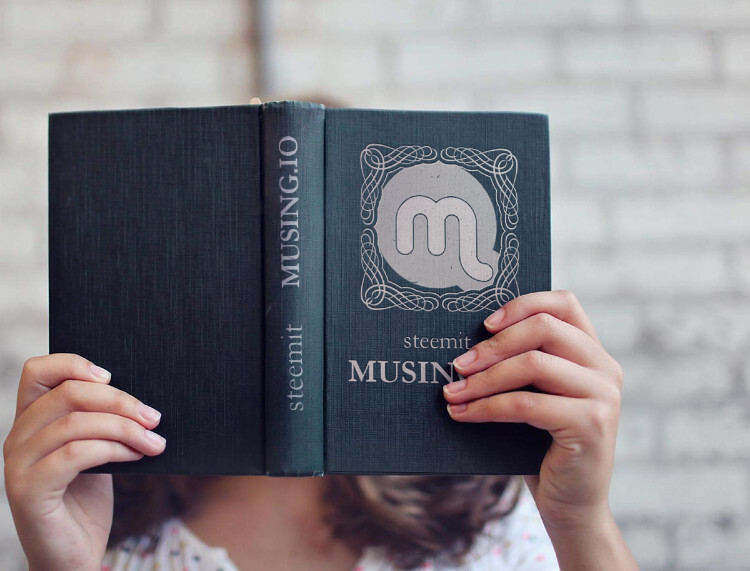 Musing is just awesome and it is really adding value to the steem blockchain to the best of my understanding. I joined musing for same reason I Joined Steem in the first place but his time for it's simplicity and differing approach. Just like Sprtshub, musing offered me another option to blogging on steemit. it's rewards system seems better off for me than just blogging directly on the steemit page. As a question and answer sub-platform of steemit and is well educational as it's challenges one to make researches. The idea of musing intrigues me and I was challenges to give it try and truly haven't turned back since then. There are enough questions being asked therefore giving me lots of options to chooseems fromthe to Answer. I guess it's a place where you can ask random questions that otherwise in real life no one answers. We are here at steemit, joining the community which is a new revolution in the world. I want to be one of the early adopters of this technology. No one usually believes me when I said that in the future, we could even go when we could be earning the cash with less work. It's fun to challenge myself to really think of ways to answer questions. Different questions have different ways to answers. Musing is now part of my habit in my life. When I wake up I will type an answer in Musing and also before I sleep and anytime in between. for the first, my goal of joining musing.io, is to add to my knowledge. many things I don't know in this world. and in my opinion musing.io can handle it. because there are many amazing questions here. and I can also ask anything I don't know. I've also made a number of questions that I didn't know at musing.io, and the answers I got from other people were truly extraordinary. In addition to adding to my knowledge, I joined musing.io is to get rewards. of course this is very wanted by everyone who joins. and I am sure, musing.io can provide success for everyone who wants to try to provide wise and accurate answers. Does others' opinion about you really matter?When do you think it was or will be the best time for this year to accumulate cryptos for the next bull run?What is the difference between an Anime and a Cartoon?Are there any health situations that is the major cause of laziness of humans?Is it true that you can still grow taller even you are 20 plus years old?If a cell is the bedrock and foundation of all life forms, how then was a cell created before it multiplied to form other life forms?I'd love to hear what is your favourite love song and why?If you could make one rule that everyone had to follow, what rule would you make?How can we learn English faster ?Do nightmares affect our health?